Discussion in 'Archive' started by HOST_Nala, Dec 1, 2018. We’re kicking things off this month with a kingdom wide snowball fight! Will your team #REINSupreme or #PengWIN the gold?! Choose wisely, you cannot switch teams later! Upon logging in, you should get a pop-up on your screen like the image above! Click which side you want to be on to join the fight! If you hover over a player, their name tag will either be blue or red. How do I hit enemies with snowballs? Hold down either the CTRL or TAB button, then click the grid space you want to fire at! You'll know you got a successful hit if your target falls to the floor, thus gaining your team a point! Friendly fire is not on, hitting your teammates will be a waste of snowballs! I ran out of snowballs, what do I do? 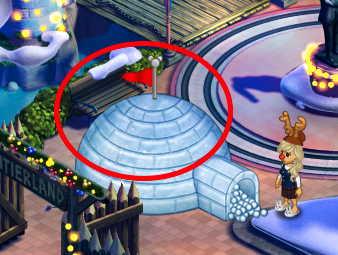 You will have to refill your snowballs at your teams igloo base by standing next to it and clicking the snowballs! What is an igloo base? Each team has their own igloo base. Team Reindeer's will have a red flag, while Team Penguin's will have a blue flag. 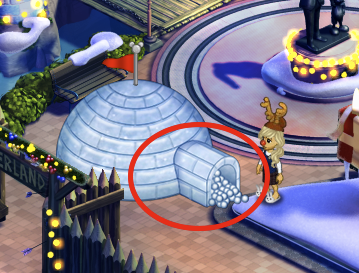 At your igloo base you can refill your snowball ammo, or access your teams shop by clicking the main part of your igloo. Where can I find my teams igloo base? Whats in my igloos shop? 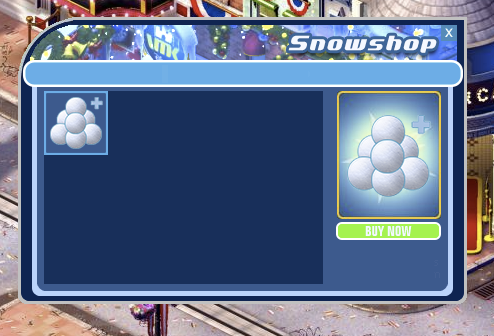 You'll see a Snowball Storage Upgrade, which you can buy to hold up to 10 snowballs total, rather than 5! This upgrade will expire after 24 hours but may be purchased again. You will also find surprise slots that you will only unlock once your team reaches a certain amount of points. Dash, Drink Me, Turn Into Zombie, and Violet Magics will not be permitted to use while participating in the Snow Brawl Fight! There will be grace periods throughout each day where you can go about the game peacefully. 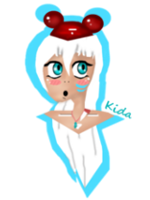 BlueDreamz, Caellisto, alloadieu and 1 other person like this. is this throughout the month of december? what are the prizes? Ok so I really love this! But.....i always play on a mobile device (Ipad) so I will be unabke to play. Sad. THIS SOUNDS SO CUTE!! (and lowkey stressful haha) I LOVE IT!! Perhaps we can make it mobile compatible soon! All month! You can get prizes by unlocking them at certain point scores in your shop! yeah I would like to request we change our team name to Club Penguin. thnx. Rosey and Danny_DeVito like this. is there a way to see how many we need to unlock the prizes? I honestly have no idea what I did wrong in the snowball fight thing to get banned. Can you please tell me what I did that was wrong so I don't accidentally do it again? The only thing that makes sense to me is that maybe you thought I was intentionally letting people hit me with snowballs? The reality is I was just hanging out in a room with my friends that I am with in vc. Sorry for doing whatever I did, but it absolutely was not intentional. Please clarify for me how I can not break the rules and still be able to hang out with my friends that chose the other team. i think the game is a nice idea but i dont find it fun... we're all just camping and trying to get to the other teams igloo :| and it's also annoying personally, trying to escape without being hit and cannot move after being hit, blood thirsty people. i'm not trying to hate on this; it isn't for me and you cannot please everyone obviously but this was a nice addition to the game and something different. thank you. This topic is unfortunately the wrong place to ask this question. If you have any concerns involving your account please email us at "contact@myvmk.com" so we can assist you further! If you see a clone abusing this please report it!! If people spam all their snowballs in one place, it’ll only count once. So if you’re already on the ground and still being spammed with snowballs it still only counts once. You have about 5 seconds of shield when entering a room as well, so any snowballs used on you at that time will not count towards a point. You are able to hit someone if you’re lucky enough to predict their movement path. You could have opted out in joining a team, there’s a little X in the top right window when choosing a team. But if you don’t wish to play, you don’t have to. We will have grace periods, guest rooms are safe and probably game lobbies. 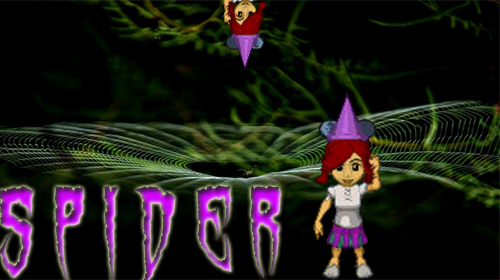 But that last update is still pending so hang tight for now. se of alternative accounts (or “clones”) in order to gain an unfair advantage is not allowed in MyVMK. This includes, but is not limited to, using accounts to play minigames at the same time, ride Fantasyland Rides, attend HOST events, etc. You should not be able to gain anything you otherwise wouldn’t by using another account. -from the site. So using an account not at the same time but having one on each team, would this be clone abuse? I was banned on cicada for using two accounts at the same time. alloadieu and Stand_Out like this. Technically yes. If you're swaying the score from that clone, it counts. I thought the snowball fight would be turned off in guest rooms, but they're not? I love this. By far my favorite new "game" feature that's been added in a while! Thanks staff and GO TEAM PENGUIN (hehe). HOST_Nala and Danny_DeVito like this. Yeah, I was hoping the guest rooms would be safe too but while the brawl was still on, i saw them being thrown in guest rooms?.. Any idea when this break is over?!?! Im ready for Battle. meggo, lexis and HOST_Nala like this. RoseBonbon, carolynwonderland, lexis and 2 others like this.